Size: approx. 3-4 mm. Photo: 04/21/12, 3 pm. 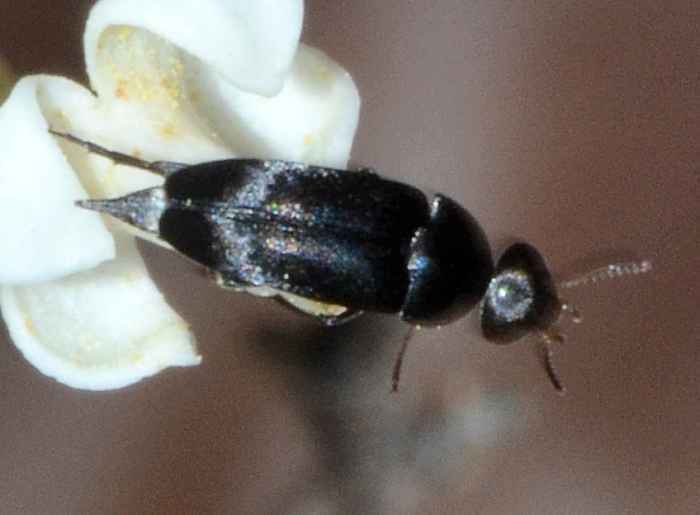 This Tumbling Flower Beetles is Mordella sp. This spring we had many of them in our yard. They loved the our magnolia flowers but I also found them on the ligustrum trees. The genus has 24 species in North America. April seems early for them but we had a very mild winter.